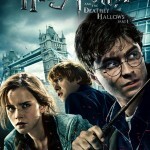 We have some more big casting news today regarding Harry Potter and the Deathly Hallows. Dumbledore in the final installments of the Harry Potter film series. While not yet officially confirmed with WB, we believe this to be correct. Speaking with reps for the actor, we were told expectations and hopes certainly are that Ciaran Hinds will be taking on the role of helpful Order of the Phoenix member in the final Harry Potter films. You can see photos of Ciaran Hinds here ,here and here. A widely acclaimed actor, Ciaran Hinds has appeared in such films as Munich, There Will be Blood, Road to Perdition, Persuasion, Hallam Foe, Miss Pettigrew Lives for a Day, and most recently voiced a part in the film The Tale of Despereaux with Emma Watson (Hermione) and Robbie Coltrane (Hagrid). 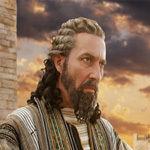 Well known to TV audiences for his appearance in the hit HBO series, Rome, Ciaran Hinds once starred in a film called The Cook The Thief His Wife & Her Lover, which also co-starred Michael Gambon, who of course portrays Albus Dumbledore, the brother of Aberforth. Please note: For those who have asked, actor Jim McManus appeared in as the “Barman” at the Hogshead in OotP, where the character of Aberforth works. As WB does not normally comment on rumors such as this casting and others, we continue to wait for a formal release confirming and addressing all the casting for Harry Potter and the Deathly Hallows. More when we get it! Finally, TLC has also learned that it is believed Nick Moran will be playing the part of Scabior, one of the Snatchers who works with Greyback in the events at Malfoy Manor. 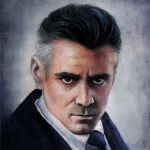 Fantastic Theories: Is There a Real Percival Graves?